Cities within cities. That’s what modern townships, or business parks, have become. 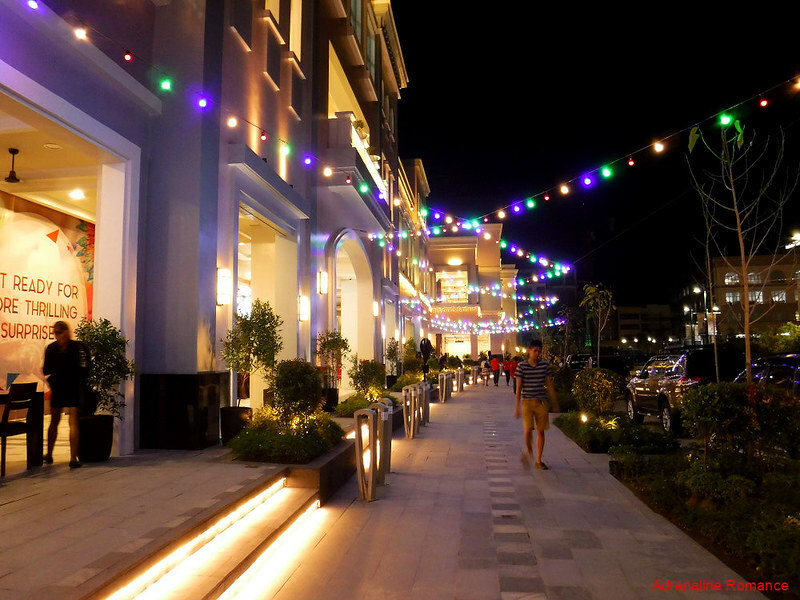 Not only do they provide jobs and contribute significantly to the region’s economy, they have also become lifestyle centers. As such, townships have become havens for urban adventurers as they explore and experience amazing hotels, shops, restaurants, and other developments—all within a stone’s throw from each other—in a township. 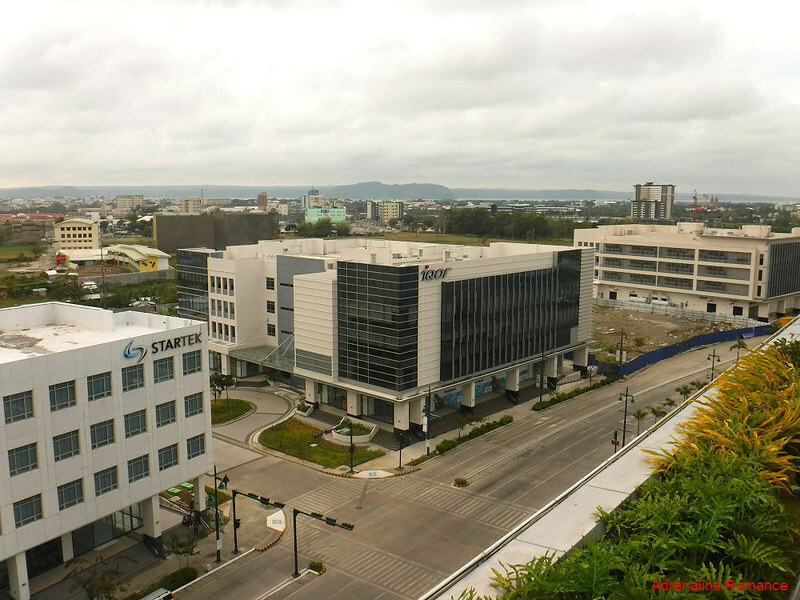 Megaworld’s Iloilo Business Park in Iloilo City is one such urban destination. 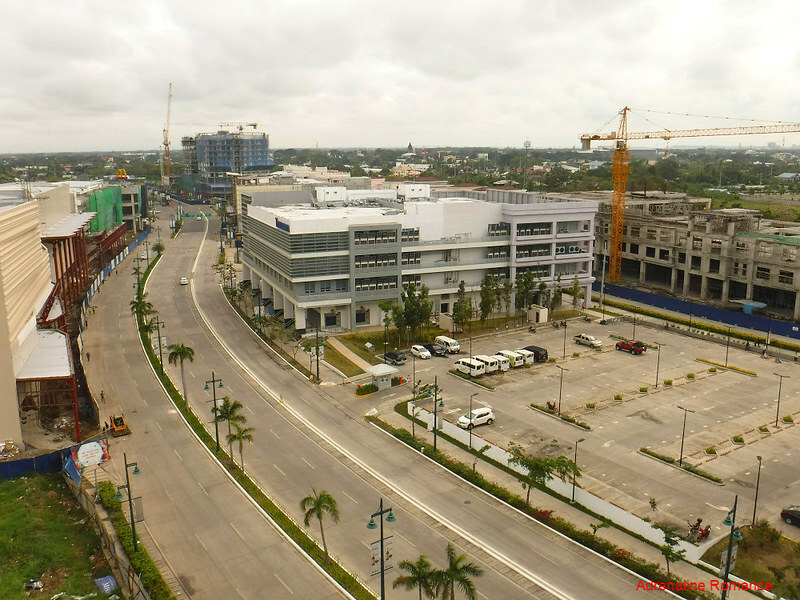 The Iloilo Business Park (IBP) is situated right at the Mandurriao district. It is a master-planned 72-hectare mixed-use development community project, a city within a city. The IBP is poised to become a top and vibrant future township of business and lifestyle in the Western Visayas. With a single investment of Php 35 billion pesos, the IBP holds the record as Megaworld’s biggest project outside Luzon. The main avenue of the IBP is the old Iloilo runway. The broad width of the runway allows the developer to divide the avenue into eight lanes, two of which are used as access and exit lanes. Megaworld has learned from the urban-planning mistakes of Cebu and Manila, which caused horrendous traffic. Therefore, as early as now, they already made wide roads to accommodate future traffic. That’s advanced planning and foresight indeed! Business process outsourcing (BPO) companies, restaurants, boutique hotels, banks, and other firms have started to establish businesses in this promising township. These companies will provide thousands of jobs to people in Iloilo and the surrounding provinces. IBP, therefore, will be truly instrumental in boosting the region’s economy. 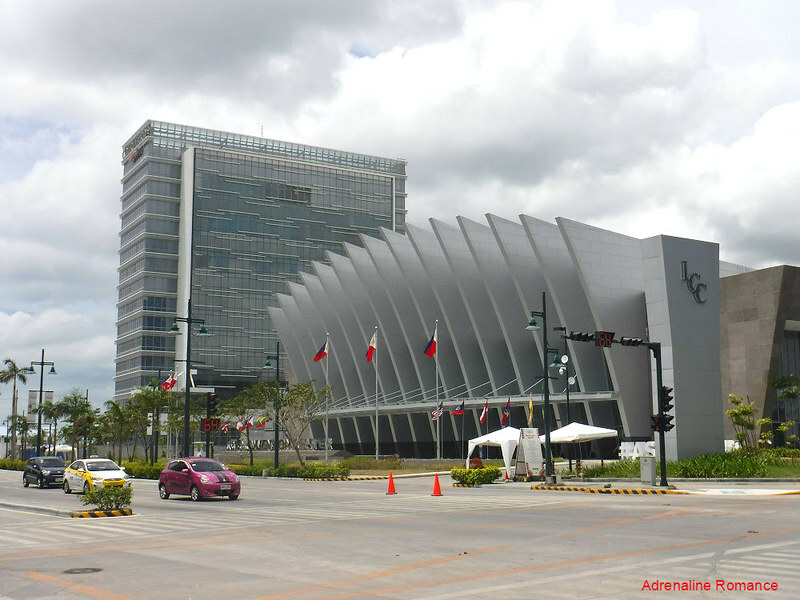 One of the first structures that was constructed in IBP is the 3,500-seat Iloilo Convention Center (ICC). With a contemporary and minimalist architectural design, it is an iconic and striking building within the township. Today, ICC is a favorite venue of local, national, and international seminars, summits, exhibits, and other special events. In fact, we visited IBP during the 2017 ASEAN Summit, which was held in ICC. We hope to host a travel and adventure symposium here someday. Hehehe! Beside the iconic ICC is the Courtyard by Marriot hotel. Megaworld Online Influencers Supervisor Greg Flores invited us to visit the Megaworld sales office and showroom just right at the entrance of IBP. Let’s go take a look at their projects. 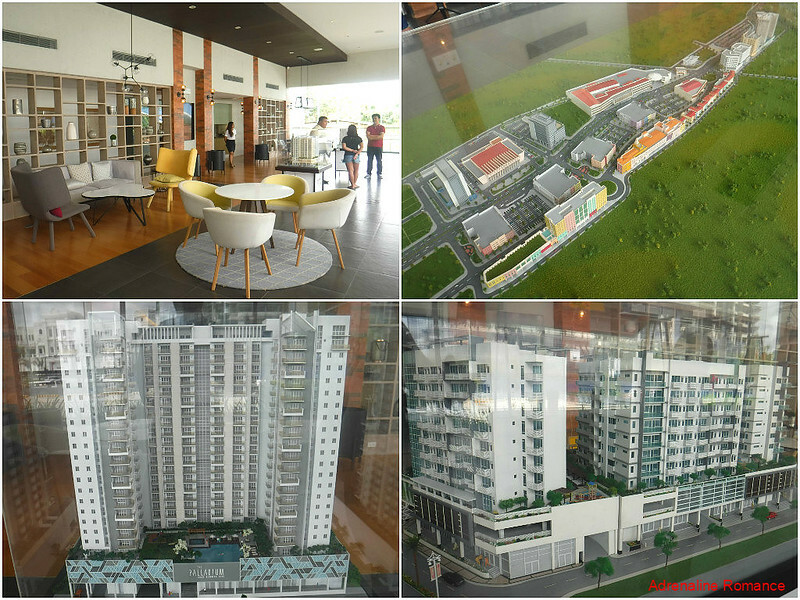 Scale models of the township and several condominium projects give us an idea of what the finished IBP would look like. Upon completion, the IBP would be filled with condominium buildings, malls, BPOs, offices, restaurants, and more. Wow! We also had a tour in some of their condominium show rooms. 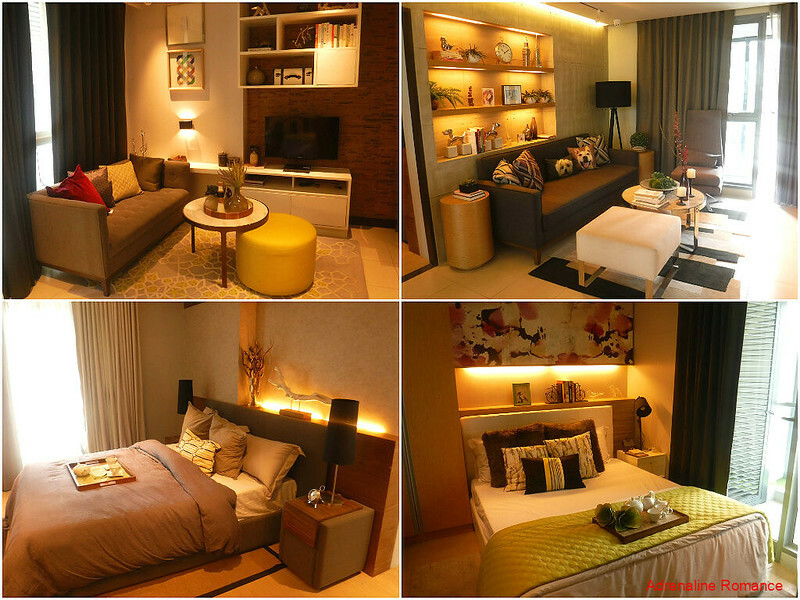 Their studio and multi-room units are all equally gorgeous! If given the opportunity and money, we would definitely purchase a property here. That dream property will be our staging point for our Panay island adventures. Our home for the weekend was at the 5th floor of Richmonde Hotel. 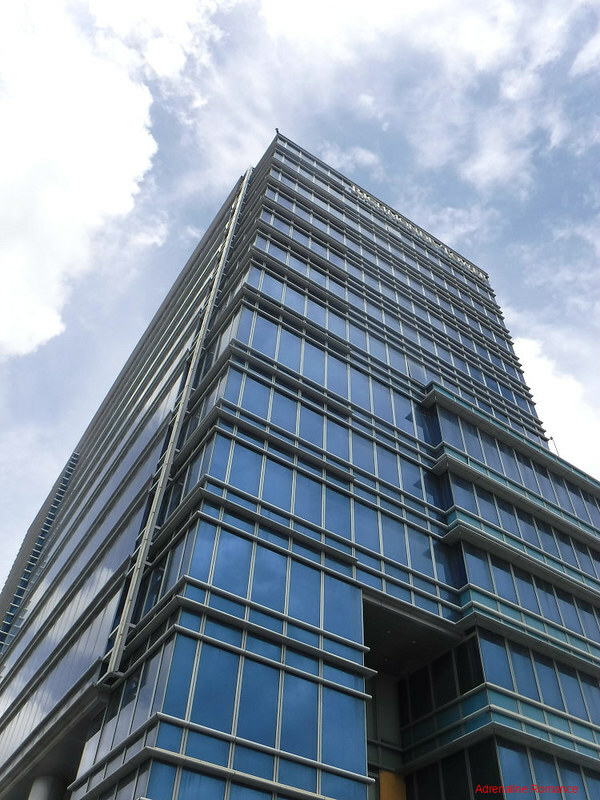 This towering blue glass-and-steel building is a giant in IBP. We treasure stays like these. Thank you so much, Megaworld! A beautiful, carefully trimmed garden acts as a gateway to Richmonde Hotel. 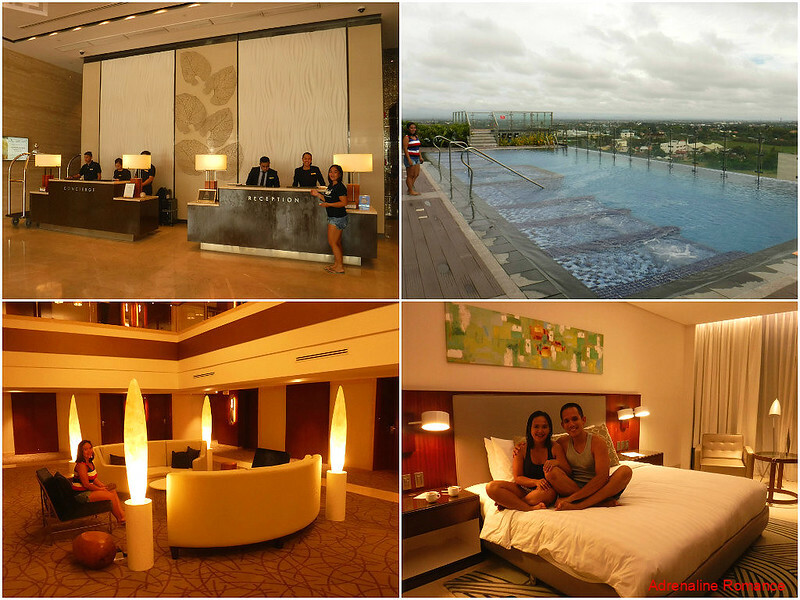 We were actually beaming with excitement since it is not every day that we can be pampered like this. Obviously, our stay was like a vacation in heaven! Clean sheets, soft pillows, hot showers, world-class furniture, top-of-the-line facilities, top-quality service—you couldn’t ask for more. The pool at the 7th floor is one of Richmonde Hotel’s highlights. Thanks to clear fences made of tempered glass, you can have a great view of IBP and the surrounding areas while taking a dip! Greg and some top-rated Iloilo travel, food, and lifestyle bloggers treated us to a filling dinner at the glitzy Festive Walk Parade. At 1.1 kilometers long (upon completion sometime in 2018), it is the longest dining and shopping strip mall in the country. This is a great destination for urban adventurers who want to wind down, relax, and socialize after a day’s adventure in Iloilo. We will tell you about our gastronomic feast here in a later blog post. Is it Christmas? No, but it sure feels like it! The lively atmosphere, the glittering lights, and the company of great new friends surely makes the Festive Walk Parade live up to its name! Yes, in here, it feels like a fun party every night. After a sumptuous dinner that doubled as a taste-test of new dishes, Greg and the Iloilo bloggers decided to show us around before we doze off. We skipped the Esplanade, having visited there a few months ago, and headed directly to Molo Plaza. 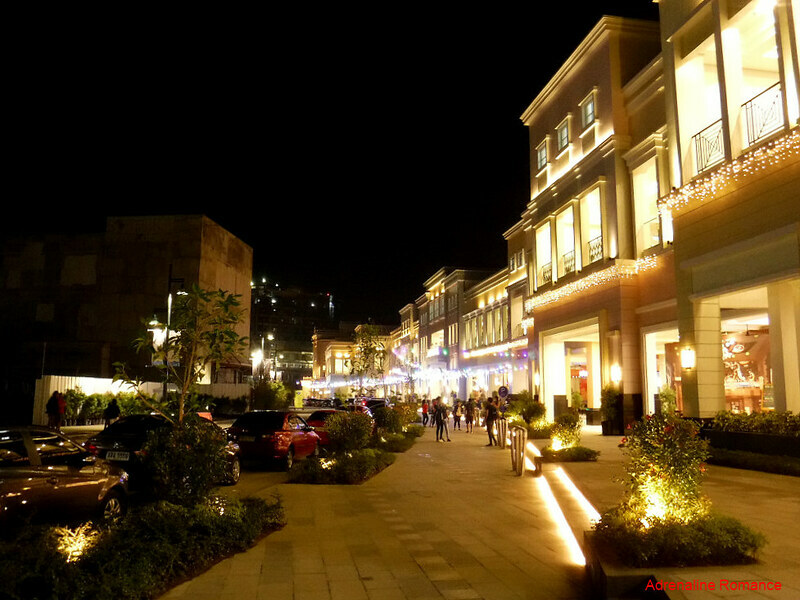 Renovated last 2012 after many years of neglect, the grandeur and nostalgia of Molo Plaza truly stood out. The gazebo has been polished white, Greek statues are installed in place, and gorgeous flower gardens are planted. Cobblestone pathways are a joy to walk on, and trimmed trees provide shade during a hot day. 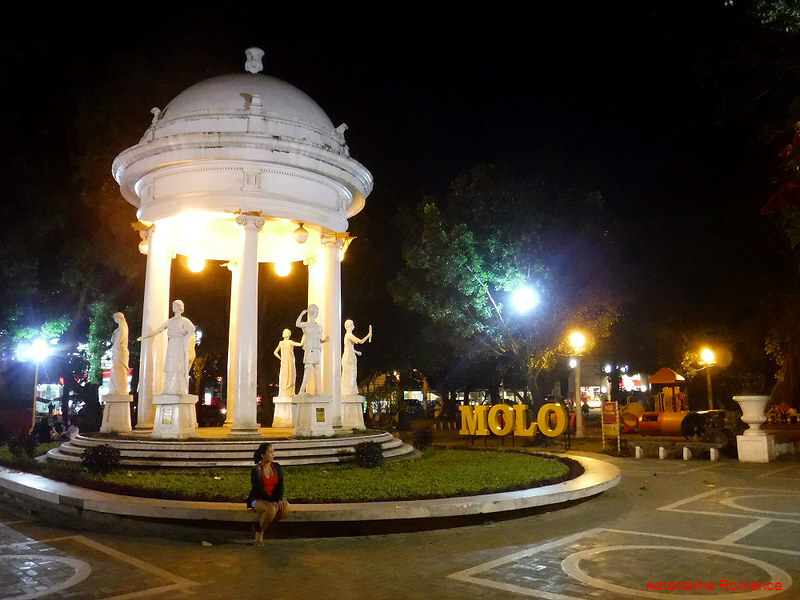 The successful rehabilitation of the Molo Plaza has become a benchmark for similar other plaza restoration projects in the city. 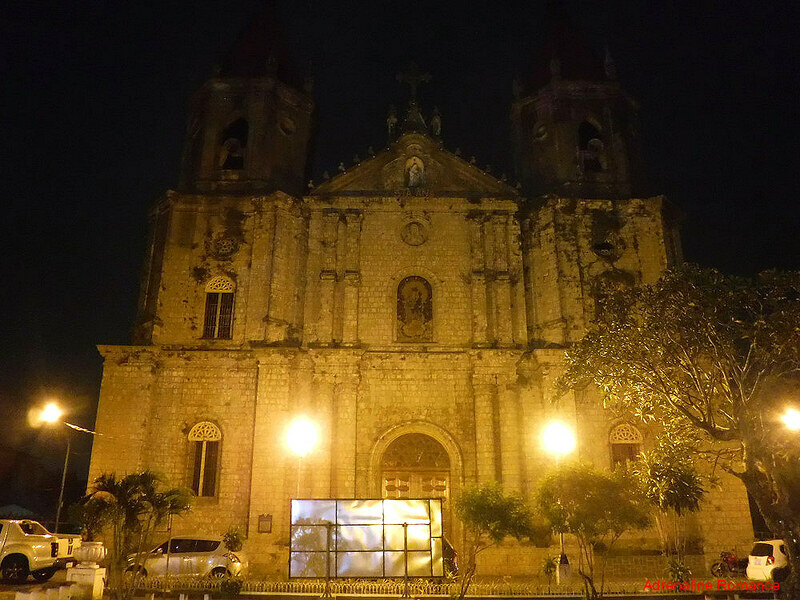 Across the plaza is the historic St. Anne Parish, known as Molo Church among the locals. Exhibiting Neo-Gothic architecture, the church is considered as one of the most beautiful churches in the country. Construction started in 1831 under Fray Pablo Montaño and finished in 1888 by Fray Agapito. Like many other structures of its time, Molo Church is made of blocks of coral stone. The most interesting features of the structure are the twin pointed bell towers that house a total of 30 bells! 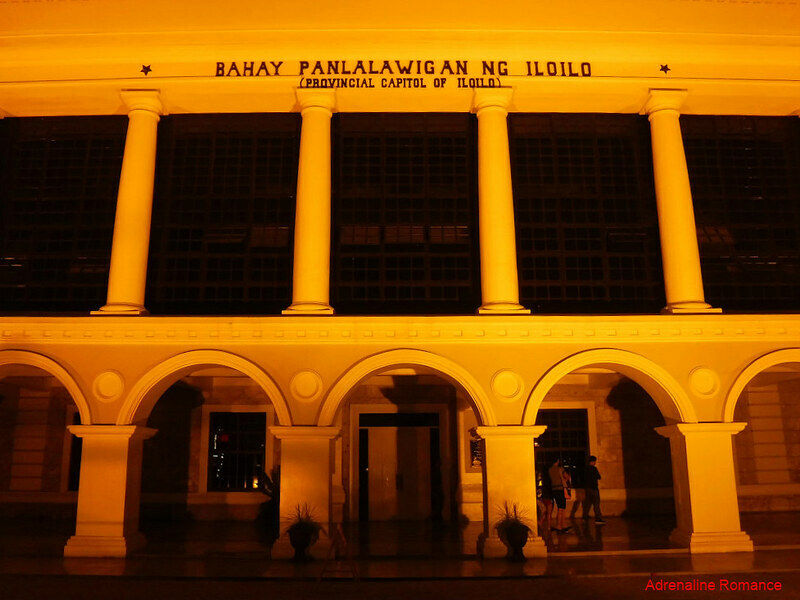 Our last destination for the night is the grandiose Provincial Capitol of Iloilo, which is made even more stunning with the sodium fog lamps that illuminate the entire structure. Known as Casa Real in the old times, it officially became a capitol in 1901. The facility later became a garrison of the Japanese forces during World War 2 and later repaired in 1988 after a fire gutted out the building. Further restoration endeavors are then initiated to preserve the structure. Today, the Capitol is a National Historical Site as declared by the National Historical Commission. 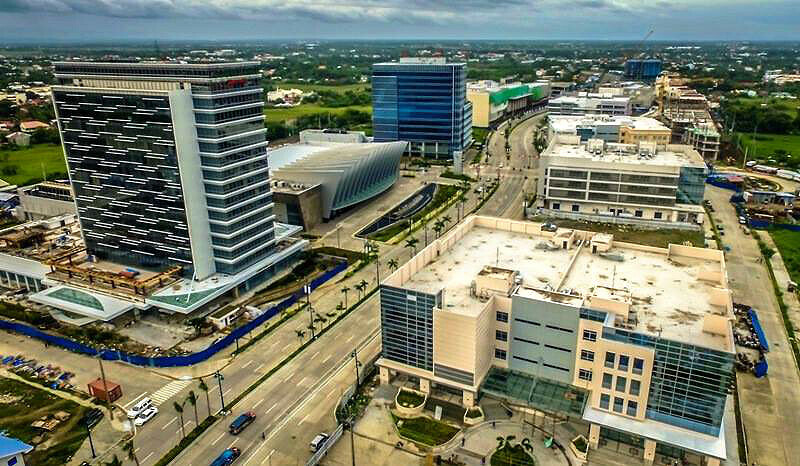 The Iloilo Business Park is rapidly emerging as the province’s new face of economic progress, chic lifestyle, and urban adventure. 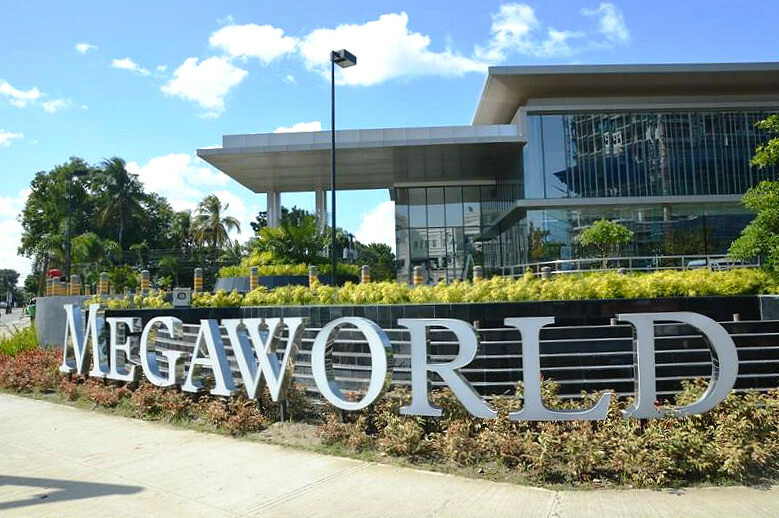 It is Megaworld’s testament of a perfect synergy of business, leisure, living, and fun. 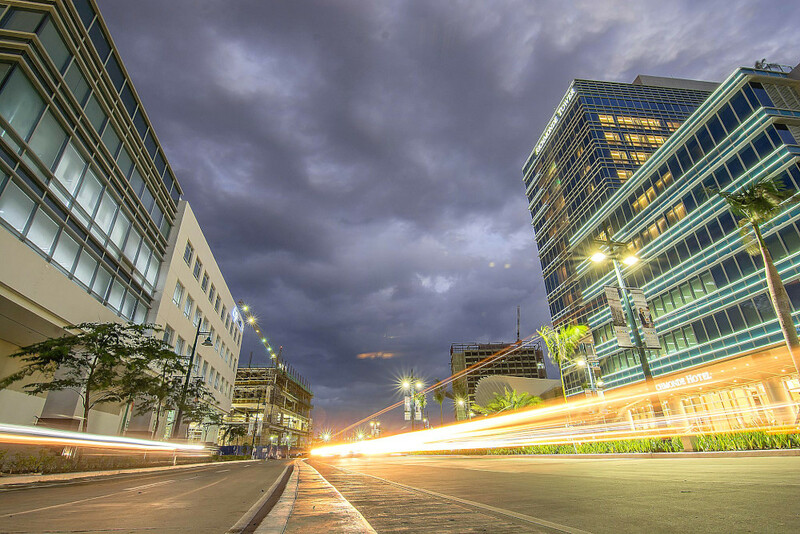 Visit, explore, and invest in Iloilo Business Park today! Haha! Thank you very much for the kind words. Actually, this was our prize for winning the Best Blog in 2016. Thanks, that’s my city ! My home is 23 km from the Megaworld project and drive to the city whenever possible. What is the name of your camera? We are using two digicams: a Fujifilm XP90 and a Nikon AW100 waterproof camera (these are not DSLRs). For our underwater photos, we’re using a GoPro Hero 3 Plus Silver. What a treat for you guys! The hotel looks amazing and I can’t wait to hear about the gastronomic feast. Haha, I used to work on projects like these – so this mostly reminds me of work. It’s interesting to see the opinion of others though! SEA is developing so rapidly it’s tough to wrap your head around! Hehe! Indeed, it is. IBP is a growing business park,. It won’t be long before this would be full of businesses that will provide hundreds or thousands of jobs to the locals. It’s interesting to see the both of you in a “different world”, taking a break from rigorous adventures. Glad that you enjoyed your stay in IBP and had fully recharged before hitting the road for your next adrenaline-filled trip. Hehe! It was a very nice but strange feeling; we’re not really used to being pampered or wallowing in luxury. Guess we are now so attuned to the outdoors. Hehehe! But yes, IBP is an amazing place. We love the seamless integration of business, living, and leisure here. 🙂 And they designed the township with very wide roads. Whooopeee—less traffic! 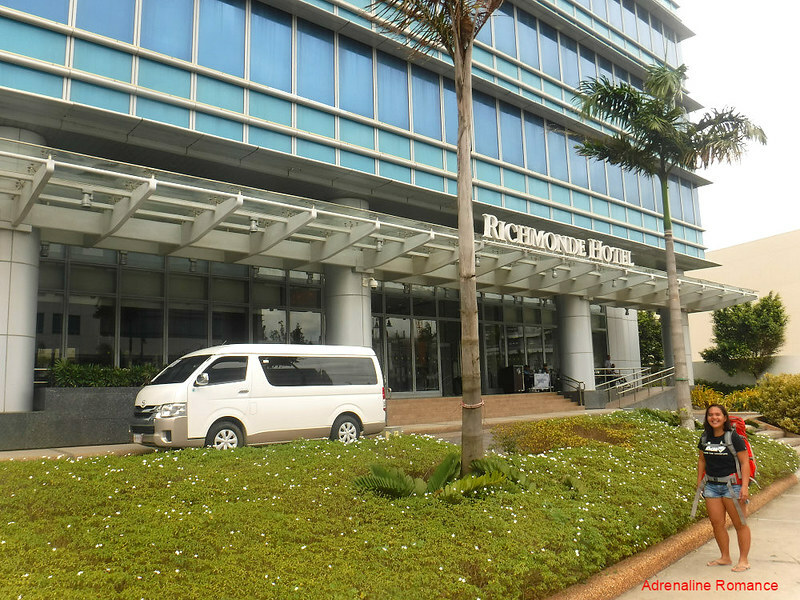 The Iloilo Convention Center and Marriot next door are incredible buildings, perfectly organised for a convention. When this area is complete it seems with the organization that it will work well. The hotel you stayed, Richmonde Hotel looks perfect for a stay at the business park. Oh yes! Actually, our stay there was a nice little “change.” We are so used in pitching tents and staying in homes, inns, and hostels. Hehehe! We agree. And we believe townships can really boost the region’s economy by providing lots of jobs to locals. The hotel pool looks like a little slice of heaven! These cities within cities seem like a really great concept & this one looks awesome! The condo units will likely be a great investment for the purchasers. We agree. Most importantly, townships like these provide a lot of jobs to locals and people from nearby towns and cities. Masterplanned communities are always very popular in my experience. I believe this is the first one that I have seen with a convention center which is huge for the restaurants and hotels around. I can see this community growing in the future and being very prosperous. My cousin just moved from Manila to Iloilo and she’s really enjoying herself as well! You obviously affirmed the reason she’s fallen in love with her new surroundings. Good food, culture, and history all in one! What more could you want? And it seems to be entering a this period of modernity ever so gracefully! 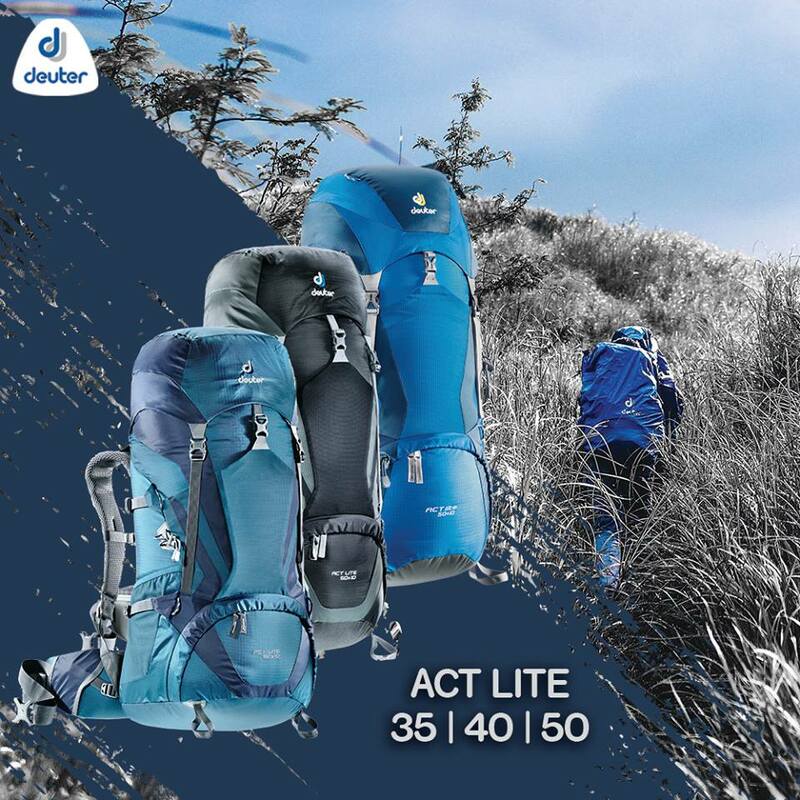 Wow, I’ve been stalking and reading your blog post and I find this blog post as a newfangled kind of blog post, since I’ve been reading most of your off the beaten path adventures. This would simply mean that you guys are versatile. I’m so happy that Ilo-Ilo is starting to own this kind of modern buildings. Thank you so much for sharing! IBP is paving the way for Iloilo’s economic progress. Hope you can visit there in one of your sojourns. Ang bilis nga ng development. I remember in 2009 halos walang hotel sa Iloilo tas today dami na tsaka mga cool hangout places. Oh yes! Even Greg himself could not believe the rapidity of the development. Just a few years ago, the IBP was a vast salt flat. This place seems awesome! What are your other highlights of Mandurriao district?